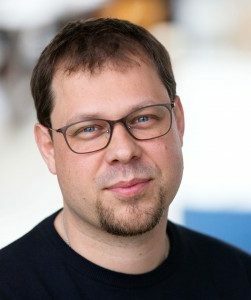 Jan Engelmann received his PhD in Experimental Psychology from Brown University and thereafter worked at Emory University and the University of Zurich before joining the EPAN lab as Radboud Excellence Fellow in 2014. In 2016 he joined the Center for Experimental Economics and Political Decision Making (CREED) at the University of Amsterdam where he currently investigates the role of emotions in social and economic decision-making (www.neuro-economics.net). He maintains close ties to the EPAN lab via various ongoing collaborations that investigate for instance the role of the parietal cortex in emotional attention (with Manon Mulckhuyse and Karin Roelofs); the neurobiological basis of temporal ambiguity in decision-making (with Iris Ikink, Bernd Figner, Wouter van den Bos and Karin Roelofs); and the role of testosterone in competitive decision-making (with Pranj Mehta, Alan Sanfey, Ale Smids and Karin Roelofs). Engelmann, J.B. & Fehr, E. (2016) The slippery slope of dishonesty. Nature Neuroscience. Hein, G., Engelmann, J.B., Vollberg, M., Tobler, P.N. (2016) How learning shapes the empathic brain. Proceedings of the National Academy of Sciences. Engelmann, J.B.*, Meyer, F.*, Fehr, E., Ruff, C.C. (2015) Anticipatory anxiety disrupts neural valuation during risky choice. The Journal of Neuroscience. Cohn, A., Engelmann, J.B., Fehr, E., Marechal, M. (2015). Evidence for Countercyclical Risk Aversion: An Experiment with Financial Professionals. American Economic Review. Engelmann, J.B., Moore, S., Capra, C. M., Berns, G.S. (2012) Differential neurobiological effects of expert advice on risky choice in adolescents and adults. Social Cognitive and Affective Neuroscience. Engelmann, J. B. *, Damaraju, E.*, Padmala, S. & Pessoa L. (2009) Combined effects of attention and motivation on visual task performance: Transient and sustained motivational effects. Frontiers in Human Neuroscience.